Perm, Perm region, 1st may 2011. Research and Production Company “Parmatech”, producer and supplier of innovation equipment for material processing, announces launch of technical cellulose fibers “Techcell” production and of high-quality cellulose heat insulation material - cellulose insulation “Parmaflock” production. These ecologically clean products allow to supply enterprises and private clients with modern effective materials, derived from secondary raw materials. Cellulose fibers “Techcell” allow enterprises to increase its efficiency due to using high quality raw materials. Production of cellulose fibers “Techcell” allows to preserve all natural cellulose characteristics, which paper contains. Cellulose fibers “Techcell”, derived from using unique equipment – aerodynamic dispergator, allow to substitute completely expensive analogues, reduce original cellulose consumption to a considerable extent and consequently reduce wood processing. Insulating cellulose material Parmaflock is ecological, safe and more power efficient version of insulation, than heat insulation materials as glass wool. Insulating material Parmaflock allows the owners of houses to reduce public services (heating in winter and cooling in summer) to a considerable extent, which become more and more considerable owing to rise in energy resources prices. Since our first clients already placed repeat orders, we can draw a conclusion, that heat insulation material Parmaflock answers market demands of high-quality, effective and ecologically clean products. Insulating material Parmaflock was tested and got a certification in compliance with the laws of Russian Federation, it is produced from high-quality paper recycling using ecologically clean fireproof materials. Excellent Parmaflock insulation characteristics help to reduce energy consumption and supply with magnificent acoustic room insulation. Moreover, Parmaflock is safe and nontoxic heat insulation material, it doesn’t pollute environment. The usage of Parmaflock helps to preserve nature. Research and Production Company “Parmatech” is the first producer of cellulose insulating material at Perm region and it is the only one producer of technical cellulose fibers in Russia. 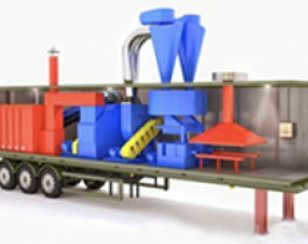 Research and Production Company “Parmatech” uses innovation technologies and unique equipment, which allows to produce high-quality and ecologically clean products on basis of recycled cellulose fibers. The products of technical cellulose fibers Techcell meet the requirements in effective insulating materials, additives for modern types of road carpet production, reinforcing agents in building and many other applications, preserving energy and promoting preserving environment. The company is situated (where it was founded) in Perm, it is located near thoroughfares, that is convenient for servicing contractors, dealers, architects, engineers and governmental institutions in Perm region and bordering regions.